This post is sponsored by the Florida Department of Citrus. As always, all opinions are my own. Thank you for supporting the brands that keep Lively Table running! Cold and flu season has snuck up on us once again. The hustle and bustle of the holiday season, cold temperatures and most likely sub-par sleeping and eating habits this time of year can leave our bodies’ defense mechanisms worn out and vulnerable to attack, making it easier for us to get sick. The best way to ensure your immune system is strong and ready to fight off colds is good nutrition! And the time to think about it is before you get sick, not after. Popping vitamin C supplements when you already have the flu isn’t going to help, unfortunately. The old adage about an ounce of prevention rings true here. Luckily, it’s easy to fuel your body with the right nutrients for a healthy immune system, starting with breakfast! I always start my day with a nutritious breakfast no matter what. Breakfast is a great meal to get in many of the nutrients that are essential for good immunity – protein, vitamins C, E, A, and D, and zinc, as well as antioxidants, prebiotics and probiotics. Adding Florida Orange Juice to breakfast is one way to get in some of these nutrients. One 8-ounce glass of 100% orange juice provides up to 140% of your recommended Daily Value of Vitamin C, as well as inflammation-fighting antioxidants. 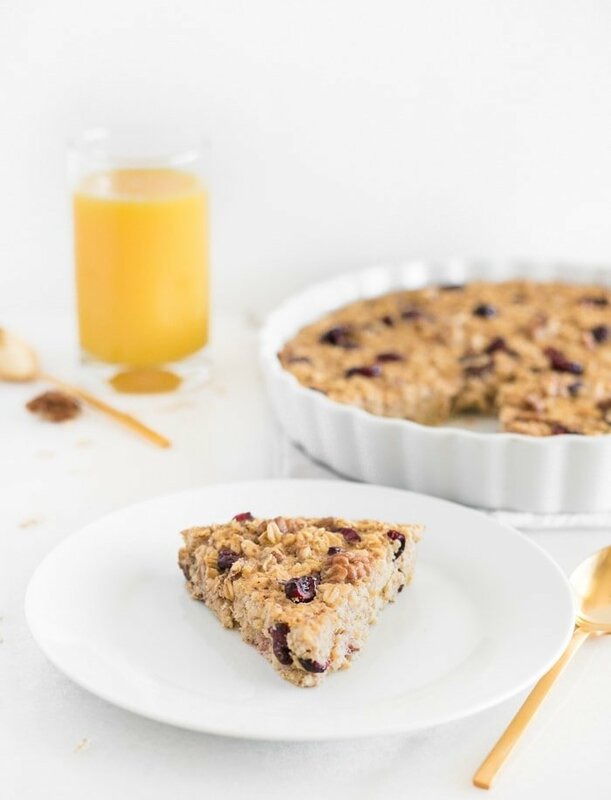 Fortified Florida Orange Juice is also a good source of vitamin D.
Since Florida Orange Juice is such a powerhouse of nutrients, I decided to put it in my breakfast with this delicious cranberry orange baked oatmeal! In addition to Florida Orange Juice’s vitamin C, this breakfast provides immune-boosting protein, zinc, vitamin E, and prebiotic fiber. A dose of healthy fat helps your body to absorb the fat-soluble vitamins and keep you satisfied longer. 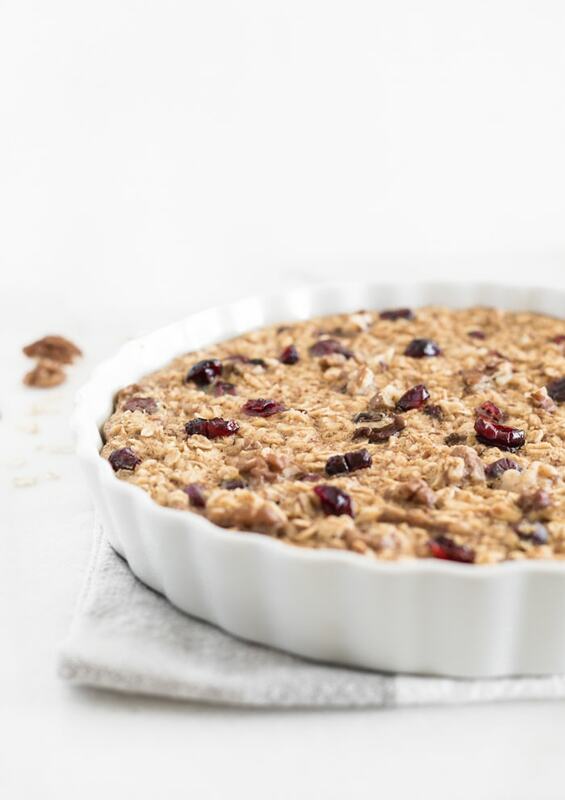 It’s a tasty breakfast loaded with nutrition, and it just happens to have no added sugar! And of course, what good is a nutritious breakfast if it doesn’t taste good? 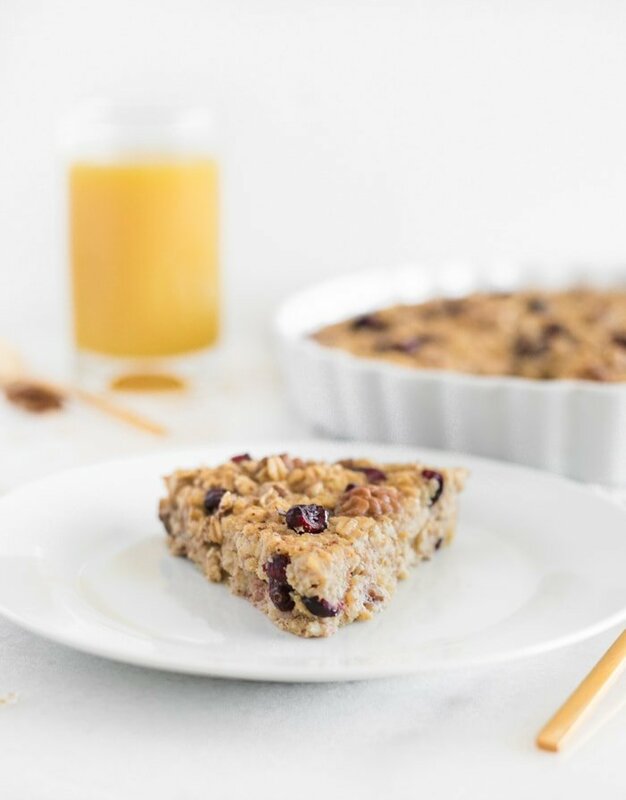 This cranberry orange baked oatmeal is so delicious, y’all. 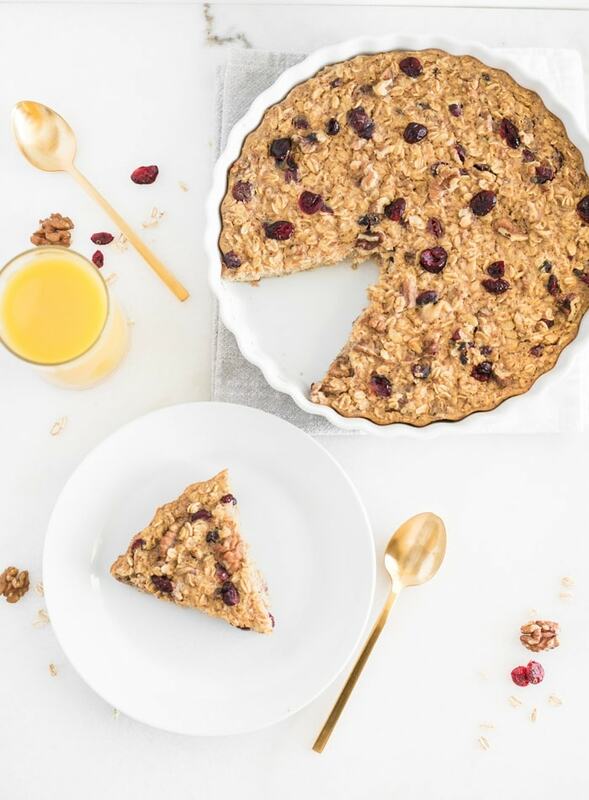 It’s naturally sweetened with Florida Orange Juice, which is complemented by fresh ginger, dried cranberries, cinnamon and nutmeg, while walnuts add a heart-healthy crunch. 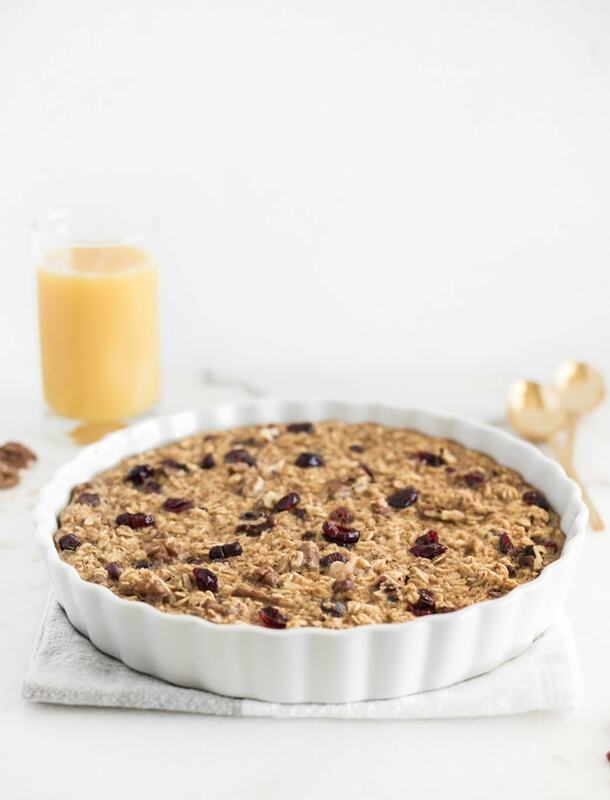 Since we’re all busy this time of year, this cranberry orange baked oatmeal is a great choice for an easy, make-ahead breakfast. Simply heat up the portion you need in the microwave in the morning, and you’ve got a delicious, nutritious breakfast ready in about a minute! You can support your immune system with the nutrients it needs and be prepared for whatever the day throws at you! I am looking forward to trying the baked oatmeal! I have been eating boiled steel cut oats daily for several years & I love them. My husband refuses to eat them. I think he might like this recipe. My question is about the vitamin C. I have read in the past that heat kills vitamin C. Since you are a nutritionist (& I love that) I thought you may have also heard or read about that. I hope he enjoys this recipe! Vitamin C can be degraded by heat and long-term storage. Since vitamin C is water soluble, it is typically lost in the water when a vitamin C containing food is boiled. However, I’m unsure of the effect of baking at this specific time and temperature on the vitamin C content. I will try this recipe soon. 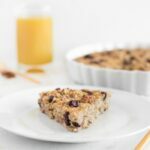 I have been looking for a healthy oat breakfast recipe and this should fill the bill. Thanks!